Brief：Chinese company to buy 85% of Hambantota International Port Investment positions company on routes between Asia, Europe. China Merchants Port Holdings Co. plans to invest as much as $1.12 billion to develop and operate port and related facilities in Sri Lanka as part of China’s efforts to ramp up an overseas trade-and-infrastructure push. China Merchants will pay $973.7 million to buy 85 percent of Hambantota International Port Group from Sri Lanka Ports Authority, the Chinese company said Tuesday in a statement to the Hong Kong stock exchange. The terminal operator will have concession to operate the facilities for 99 years. Investing in Sri Lanka will position the company along the main shipping routes between Asia and Europe, which is along China’s so-called “One Belt, One Road” initiative. The strategy aims to strengthen economic and transport ties across Eurasia, and is expected to raise the world’s second-biggest economy’s profile as a global trade power. 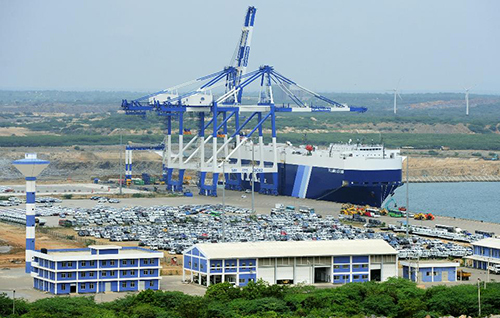 “Hambantota Port has great potential for future expansion, with its hinterland covering the South Asia and East Africa, and as a maritime hub in the region,” China Merchants said in the statement. Hambantota, a deep-water port that will be developed in three phases, will have 10 berths in the first two parts of development that can handle containers, bulk cargo and liquid bulk, it said. One Belt, One Road is part of Chinese President Xi Jinping’s efforts to revive the ancient trade route and finance infrastructure construction there. As part of that strategy, the Asian country has been urging companies to expand abroad to improve competitiveness. 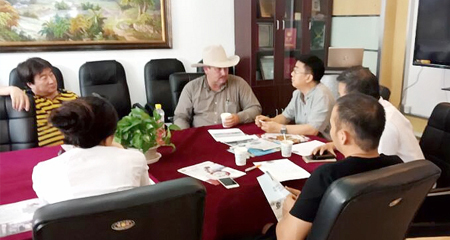 In 2015, China Merchants led a group of investors agreed to buy 64.5 percent stake in Turkey’s Fina Liman as part of its efforts to expand overseas.